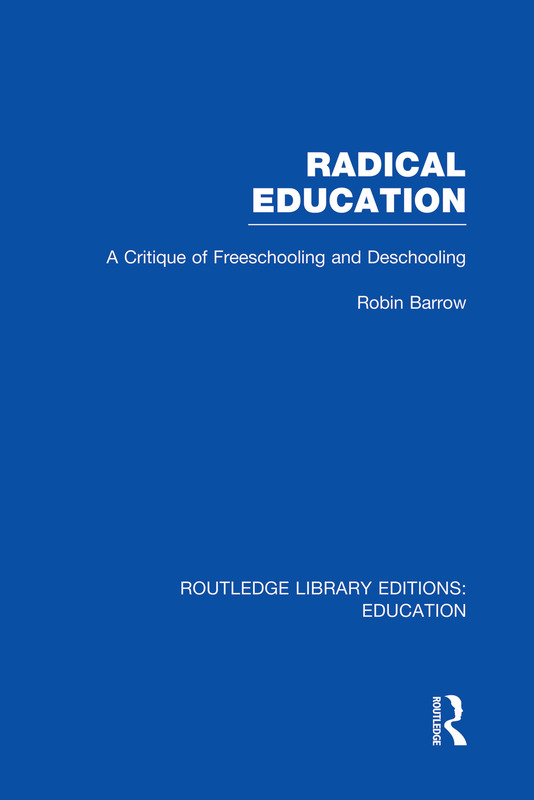 This volume is a comprehensive critique of the radical tradition in educational theory. It traces the development of the key ideas in radical literature from Rousseau to the present day. Two opening chapters set Rousseau’s educational views and arguments in their political perspective, and subject them to an extended critical treatment. Subsequent chapters provide detailed analyses and examination of the ideas of A S Neill, Paul Goodman, Ivan Illich and Everett Reimer, Charles Weingartner and Neil Postman. Each author is treated separately but certain common themes and ideas are extracted and considered without reference to any particular author. Amongst others, the concepts of nature, learning, hidden curriculum and the relativity of knowledge are examined; at the same time broader arguments about the degree and nature of freedom that should be provided to children, deschooling and assessment are pursued.